There are many mistakes that business owners make every single day that will kill their business if they're not careful. 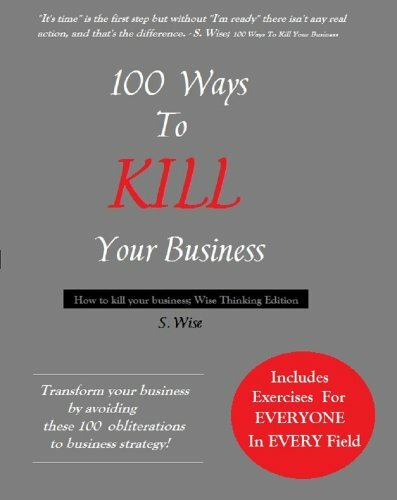 Sandra Wise has taken one hundred of these most common ways and compiled them into this guide to help business owners and those who wish to own their own business someday prevent this from happening to them. The central idea of the work is that one need not look elsewhere for opportunity, achievement, or fortune -- the resources are present in one's own community. Conwell elaborates on the theme through examples of success involving ordinary Americans.